The world is filling up with people that are keen on the DIY techniques of repair, restoration and building and this extends to the bike world. 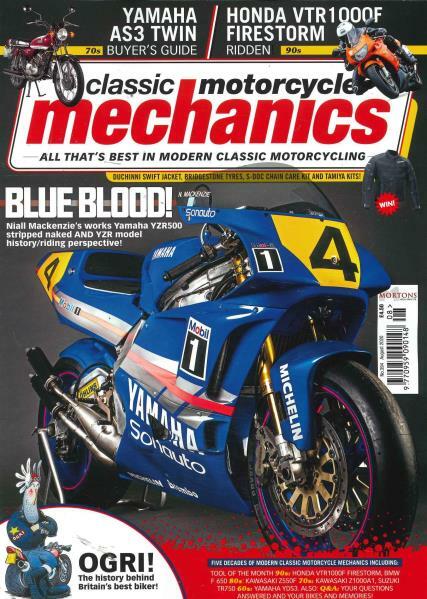 Buy a single copy or subscription to Classic Motorcycle Mechanics magazine. Wouldn’t you then love a magazine that is fully intent on handing out the best tips and techniques on getting your old bike to look like something that came out a catalogue of the meanest, fastest machines? Then Classic Motorcycle Mechanics is exactly what the doctor ordered! Do you require a constant fix of the latest bikes and the best stories of remodeling or restoring? This magazine gives you that, from a technical point of view, dealing with practical concerns like prices of parts, engineering issues, engine doubts and many other fields that require technical know how before beginning. It is the only magazine that buys the bikes that it rebuilds and remodels. That should give you something to chew about, a magazine that is totally devoted to the practice of building the bike to its farthest potential. Nostalgic look into motorcycles of my youth.